INTRODUCING: "The 2 PENZ Taste Patrol". As a small manufacturer of fine German and Austrian food products we certainly are always interested in what German, Austrian or Bavarian establishments are offering across America. So we randomly visit places that pique our interest to figure out how well they are doing in the following categories: authenticity, service, cleanliness, quality and price. The Taste Patrol tests food establishments such as restaurants, bars, home delivery services, mail order companies and food manufacturer anonymously and impartially. I picked a table myself - which is common in Germany - and it was less than a minute until a waiter said hello and brought me the menu. 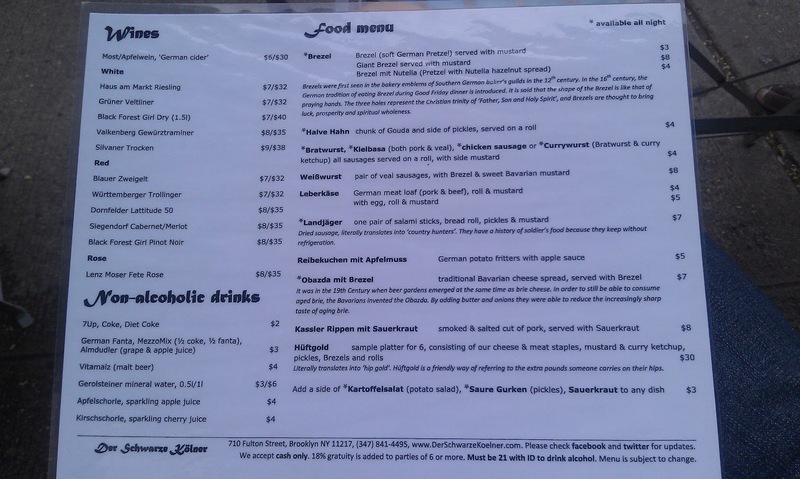 Several really authentic German dishes and beers are listed on the menu. 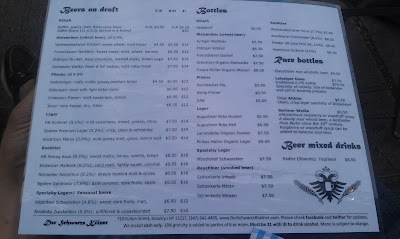 Like "Gaffel" a famous Kölsch beer, "Franziskaner" and "Spaten" from Munich which they have on draft. 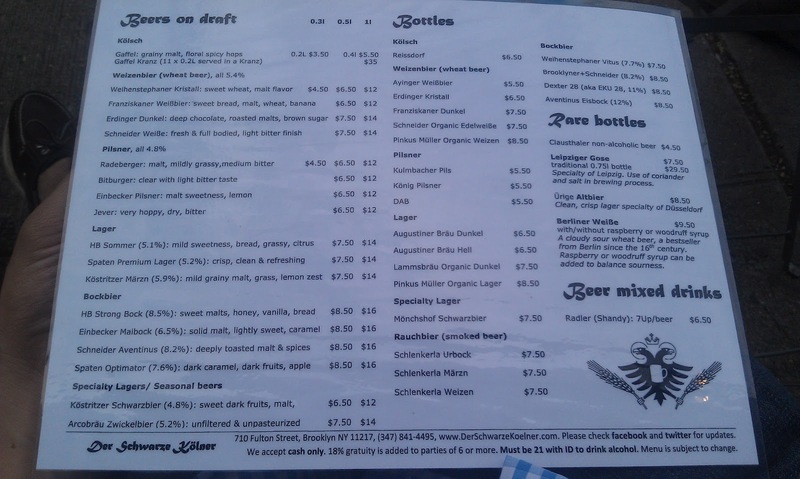 But also rare finds like the bottled "Augustiner" are available. 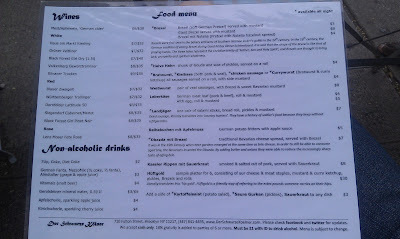 The food menu also offers a rich variety of typical German foods. From Kartoffelsalat, to Obazda, Leberkäse and even Landjäger. I personally had a Schneider Weisse beer, which is my favorite wheat beer of Munich. 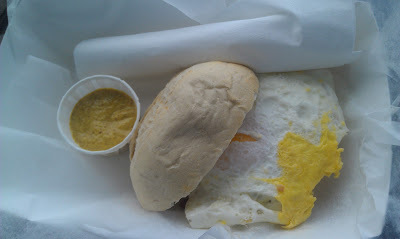 And I took the Leberäse with egg. The beer was perfect as expected. 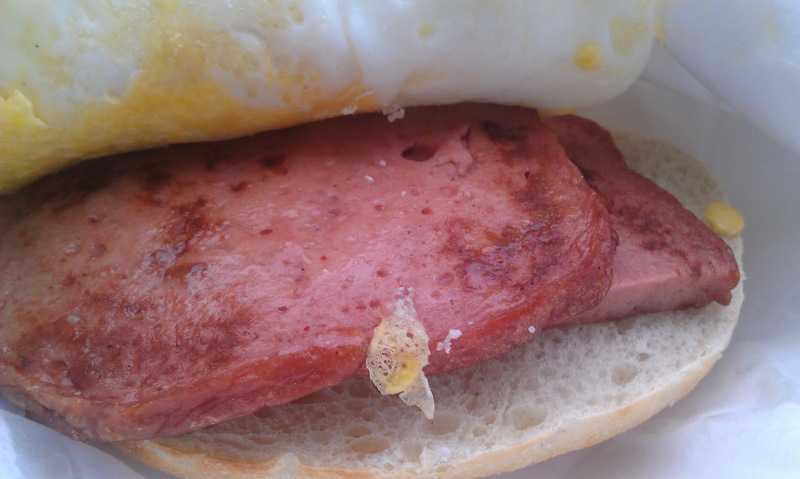 The Leberkäse came in a typical way it is served in Bavaria, but under a different name. Leberkäse with egg, roll and mustard lets me expect everything served seperately on a dish. The way it was served at "Der Schwarze Kölner", the meat loaf and the egg between the two slices of the bun would be called "Leberkässemmel" something like "meat loaf sandwich". But both quality and taste were absolutely authentic. And the price of $ 5 for a meat loaf sandwich with egg is totally ok for Brooklyn. The restaurant was clean as we would describe clean in Germany. Not super-hyper sanitized like an american stroller but everything like finished dishes or trash was removed promptly and also the restrooms were clean. 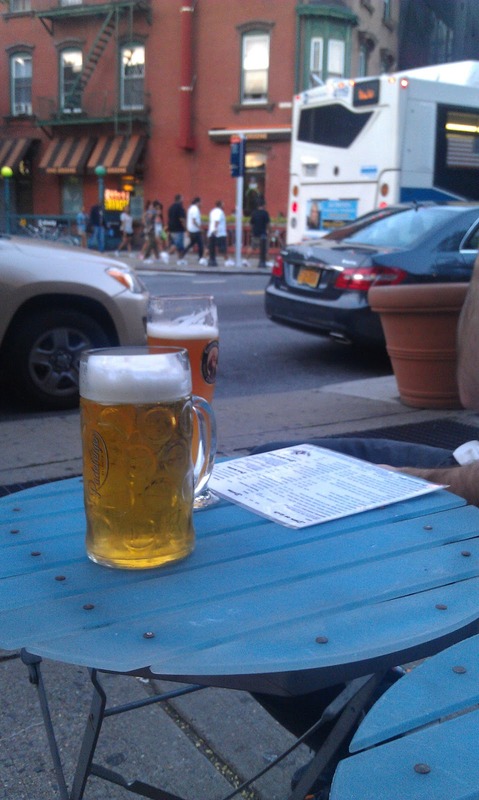 Just like a real German "Wirsthaus". Very friendly, quick service, very authentic ambiance, food and drinks and clean guest area.